Why Is My TV Aerial Not Working? There are few things worse, sit down to watch your favourite TV programme or film only to find a “No signal message” appear on your TV or have a TV picture that is completely unwatchable. You may be wondering amongst the frustration. Why is my TV aerial not working? You may be shouting this or throwing things at the same time, but this blog goes over some of the most common reasons why your TV aerial or antenna is not working properly and some of the things you can try to get it working again. Thanks for stopping by but please if you have any questions about this blog, or any other TV aerial, satellite, CCTV or AV questions for that matter please leave them in the comments section at the bottom of this blog or on the Smart Aerials Youtube channel. This is so everyone reading doesn’t gets the benefit of the question answered and the answer given and because I do not have the ability to answer all the questions that come in otherwise. Please do not fill out our contact forms, live chat or call us unless you are looking to book in an installation or a quote and are in are in our coverage area in the South East of the UK. Sussex, parts of Kent & Surrey. There are lots of things that can cause you to lose your TV signal and one of the downsides of digital TV is that all problems will always present themselves in the same way. Pixelation or loss of picture altogether whereas in the analogue days you might get a flicking or your TV picture, a ghost or a rolling bar for example. The rolling bar was also called a “hum-bar” and was the result of a faulty TV aerial amplifier or power supply. Anyway, just because your TV says, “no signal”. It doesn’t necessarily mean that you have no signal. The TV’s themselves just put out that message, or something similar whenever there is a problem. They are not sophisticated enough to say anything else. Maybe one day they will say something like in a robotic voice. “I can’t show you a TV picture at the moment because the cable is waterlogged” or “I’m suffering from some 4G interference”. I’m sure you get the idea. I have tried to arrange this blog so that if you are frantically trying to fix this as you read, the most easily fixed are arranged first. This sounds obvious, but I personally have attended numerous call-outs where the problem with the TV not working was the fact that the aerial had fallen out. This is most common when something has been pulled out, like the TV to hoover behind it or when the cat or dog has had a bit of a mis-adventure and tugged the leads. To fix, look behind the TV to ensure the TV aerial cable is connected, if not look for loose aerial cable and plug this in if you find one. This is probably the most common, all it takes is to press the wrong button and you could end up with a no signal message. Once again if you are on the wrong TV input and getting a no signal message it doesn’t mean if fact that you have no TV aerial signal, it means that you are getting no signal from whatever input is associated with the input or source that you have selected. For instance, if you have selected HDMI1 and you have a DVD player connected to it, it just means that the DVD player is not on, hence no signal, but no signal from the DVD player. Because all TV’s makes, and models are different there is no definite hard and fast way to tell you how to get around this, especially if you don’t know your way around your TV or TV remote. But it is actually a very fast & easy fix. To fix you need to find the button that switches the input on your TV. This is usually called ‘Source’, ‘Input’, ‘AV’ or just a picture of like a box with an arrow pointing out of it. Once you have located this, press it and this will bring up the list of the inputs on your TV. The may be loads of these, but you are looking for one that says TV or DTV. If you have a TV that says both then select DTV as the TV option is an analogue option which you almost certainly won’t be using these days. This process will get you back to the right place unless you’re are using an external device for your TV, like a Hard drive recorder or set top box. In which case you need to find the input associated with that piece of equipment and select that option instead. You may not have either one of these in your TV system but if you do you should check to make sure that these are in and switched on. It’s very common for these to be switched off, especially when they have been installed in different rooms to our TV because you could easily inadvertently think that it’s not in use and switch it off. To fix, simply plug back in making sure that you have the aerial input and aerial outputs the correct way around and away you go. If you have tried to retune your TV whilst the TV signal was switched off you will need to retune again as there is a good chance that you have removed all of the stored services from your TV. Aside from tuning your TV in the first time that you use it. From time to time you will need to re-tune it so that you can continue to receive the full range of services that your TV aerial can receive. This is because sometimes they add new programmes, remove programmes, move broadcasting frequencies or channel numbers and you must retune your TV to stay up to date with it all. Recently in my area and all around the world in fact, TV transmissions are being moved closer together to allow for 5G wireless internet to be released on the then unused frequencies. This involved moving nearly all the channels and retune was necessary to get your TV service back. To fix, fortunately modern TV’s have made this very easy for you. All you must do is find the tuning menu among your TV settings and set it to auto tune. It will scan through all the services and store these in the right ones, or it should at least. You can run into problems on occasion when auto tuning TV’s which the TV choosing signals from other nearby transmitters, which themselves may be unreliable. For this reason, I recommend manually tuning your TV’s where possible, but to do this you will need some information on the TV transmitter you are using. Please do read our previous blog on how to manual tune TV’s. If you have a TV aerial wall-plate or wall jack as they say in the US. You will have a lead connecting the antenna socket to your TV or set top box. This itself can develop a fault and cause a poor picture or no signal. I must also say that some of the skinny factory-made leads are of very poor quality and even when they are not faulty, they often loose so much signal down them that this itself could cause a poor TV signal. To fix, get a good quality piece of coaxial cable and make your own. You will also need a couple of coaxial plugs and a couple of hand tools. Fortunately, I have made a video on how to make your own high quality TV aerial fly-lead for you to watch, please also visit our Youtube channel for lots more videos like this. If you don’t fancy doing this then I recommend buying a good quality factory made lead. You don’t have to go bananas and spend £100 or $125 (whatever the current exchange rate is) on a gold or platinum lead. Just a lead that looks good quality and not the skinny type will normally suffice. It does happen and it’s far more common than people otherwise think. I have pulled TV’s out of boxes and they didn’t work. A couple with cracks in their screens also. If your TV has gone faulty I would recommend trying most of the other suggestions in this blog before condemning it. Obviously if you are reading this, chances are you don’t have equipment capable of testing your TV aerial signal but you could try swapping the TV over with another, if it doesn’t work first time try giving it a retune as it’s possible that two aerials, even two aerials in the same property may be served from different TV aerials using different TV transmitters. To fix, it’s pretty darn obvious. Get a new TV or get your TV repaired. Unfortunately, TV engineers are few and far between these days owing to the ever-falling prices of buying a new TV, so chances are it will make more sense to get a new one. Unless you have a very expensive model, like a Bang & Olufsen. It’s very common for your TV aerial wall-plate to become faulty and ruin your TV signal. These don’t normally just break but are usually broken by physical damage, becoming water logged or by carrying a very high current through them which can happen with nearby electrical storms or lightening strikes. Have a feel of your wall-plate is the connection is wobbling or is loose there is a good chance that there is a problem with the wall plate itself which could cause your TV not to work properly. The connection should make a for a tight fit. To fix, Fit a new wall-plate. Here is a video I made earlier showing you how to fit a coaxial wall-plate. Thank me later. The aerial downlead is the cable that connects between your TV aerial/ antenna and your TV itself. This is usually a direct cable, but there may be splitters, amplifiers, filters or wall-plates in between but we will treat the cables in between these as the same. There are lots of things that can go wrong with the aerial cable. These include but are not limited to physically break in the cable, waterlogged cables or cables that have had a very high current run through them, like from an electrical spike, electrical surge or lightning strike. Breaks in the cable can be caused by improper installation techniques, where the coaxial cable has not been handled correctly and caused damage, accidental damage like when your accidentally cut the brown cable that looks very much like the bush you are pruning or from cables not being fixed correctly, which can cause the cable to move about, chafe and break. One there is a physical break on the outside PVC cable sheath, rain water will be able to enter, and water log your cable. Once inside the cable the waiter can use the cable like a slide and slide all the way down to your TV. This is very common with cables left loose down roofs or with not enough cables tacks or ties holding the cable in place. I have seen cables so waterlogged that when I have cut them they have run like a tap and also where the water has entered to TV. To fix, replace the cable with a new section of coaxial cable. This may mean a trip onto the roof. If you cable and aerial are both very old you may want to replace the TV aerial itself at the same time to prevent any future trips back onto the roof and broken tiles. When fixing cables down roofs you should bend a small piece of lashing wire and tuck under the tiles around the cable to stop the cable moving around down the roof, this should be done every metre or and the weight of the tile will hold the cable in place. Cables should be tacked every 5 or 6 bricks vertically and every couple of bricks horizontally. The aerial itself, the cable and the TV are only but a few potential parts of your TV system as there are many different types. Too many to name here, but if you live in a weak signal area or you have a TV aerial feeding multiple TV’s there is a good chance that you have a TV aerial amplifier or booster installed somewhere in your system and these themselves can develop faults and ruin your TV signal. To fix, try installing a new amplifier in place of the old one that you suspect may be faulty. If you do not want to rush out and buy a new one you could try bypassing the amplifier and connecting directly the incoming TV aerial signal and the cable that feeds your TV. Just make sure that when you are dealing with amplifiers with multiple outputs that you’re connecting the right cables together. This may mean a few trips up and down from the loft in you’re doing this alone! Beware if you have what looks like a TV aerial amplifier or signal booster behind your TV. There is a good chance that this a power supply unit and not an amplifier as to replace one with the other will result in a complete loss of signal altogether. A power supply unit simply sends a DC voltage, usually 12V up the cable which will power a masthead or line amplifier and does not amplification of the signal itself. So, if you suspect that you have a faulty power supply unit make sure that you are trying a new power supply unit and not a one way amplifier. If in doubt, there should be some markings on it to help you identify what it is. This probably would seem like the first place to start but I call this the worst-case scenario. If you have lost your TV aerial signal on your television, you may want to have a quick glance up at your aerial. If it’s broken or lying on your roof, then there is a good problem that’s what your problem is. But aerials that look perfectly fine can also be faulty. This is usually through waterlogging and usually this is because the aerial hasn’t been installed correctly in the first place, but other things can break your TV aerial like electrical storms and just age. If your aerial is very old is probably worth just replacing anyway and there have been huge changes in the sector and the way we broadcast and receive TV aerial signals. Like the switching from analogue to digital, changing or frequency bands, introduction or Tetra, 4G and 5G signals and so on. Modern life is also dominated by electrical equipment and each of these have the ability, usually under fault conditions to ruin your TV aerial signal so having a modern aerial is far more suitable to todays demands, rather than an aerial from 20 years ago. To fix, you will need to replace the aerial itself. If you are unsure what aerial to buy I advise that you read two or our older blogs as these will be very helpful for you. These are your guide to choosing the right TV aerial and what is the best digital TV aerial. Just remember that you will need to mount the new aerial correctly to correspond with the polarisation of the transmitter that you’re using. I advise that you watch this video too showing you how to get TV Aerial polarisation correct as well as reading our blog on aligning TV aerials. There is an awful lot for you get through there but I’m confident that by reading the blogs and watching the video that this could be difference between getting a good TV signal and not. I would also suggest that when installing a new aerial that it’s also a good idea to replace the connecting coaxial cable also. There is a chance that the TV aerial you have been watching your TV through was very installed “professionally” in the first place and there is a chance that a poor cable termination could be running your TV aerial signal and giving you bad reception. There are a quite a few places where a poor cable coaxial termination could ruin your signal. The aerial itself, at distribution equipment like splitters and amplifiers, behind the coaxial wall plate, the fly-lead or the plug itself as it enters the TV receiver or set top box, at any filters or combiners which may be in place. These may be in your loft, behind your TV, on your roof or in a service cupboard to name but a few positions where a poor termination could be. There are a few ways in which coaxial cable can be poorly terminated but a the most common would be where there is a short on the cable. This is where the screen or cable braid touches the centre conductor. When this happens, this will dramatically weaken your TV signal or where line power is present like from a power supply unit serving a masthead amplifier will result in no signal whatsoever. To fix, this may be very easy or it could be quite tricky. If you are handy with a multi-meter you could test your coaxial cable to see if it has a short on it or test the resistance etc. Otherwise it could just be a case of checking each cable termination. I would personally check all the easy ones first like the coaxial plug or the wall-plate, then head onto the trickier ones. There are lots of things that can interfere with TV signals. These include interference from nearby TV transmitters, communication towers & electro-magnetic interference. Some of the most common interfering sources are from Tetra frequencies, this isn’t as common as it used to be, but this is an emergency services communication band that sits just below the UHF which terrestrial TV broadcasts on, more common ones these days are 4G & soon 5G. The reason why these are so common is because these both operate on frequencies formerly reserved for TV signals. There is much more information on both in older blogs TV inference from 4G and TV interference from 5G, which I recommend that you read also. There are lots of other interfering sources, too many to name them all but some are interference from electrical equipment (usually faulty) and co-channel interference. This is interference from another transmitter which broadcasts on some of the same frequencies that the transmitter you are using does and ultimately, they cancel each other out. To fix, this part can be quite tricky as you would need to know what type of interference that you are trying to remove. I would suggest starting with ensuring that you have a aerial with an integrated balun or a log periodic design which doesn’t need one and installing it as high up on your property as possibly. Ideally outside of your loft as this will not only typically get you more signal. This will help remove electro-magnetic interference & impulse noise which can feed back into the signal. I would also suggest that you ensure that all cabling on your TV system is double screened. This will help prevent interfering frequencies which are all around us, particularly in built up areas like towns and cities and it will also prevent RF leakage which is literally the signal being lost. I would then suggest that all splitters, wall-plates and indeed the aerial itself are screened. This is where is cable termination itself is enclosed in a metal housing to protect from outside interference, most equipment these days fortunately utilises the F connection which itself is screened. Further to this you should also remove any unnecessary amplification which could actually be making your problem worse. To remove interference from 4G & 5G, modern aerials are designed to reject these frequencies, so an aerial upgrade might not be the worst idea in the world. You should also install a 4G or 5G filter to remove the unwanted interference. This should be installed before any amplification which may be in place so that the unwanted signals are not getting the benefit of extra amplification. It also means that where one aerial is serving multiple TV’s that, all the TV’s will receive the benefit of the filtering and you wouldn’t need separate filters at every TV. To remove interference from neighbouring transmitters bandpass filters which allow a small fraction of the frequency band through, but it really does depend on the transmitter you are using and the frequencies that you want to keep and to filter out so generic advice is difficult to give in this situation. If you’re suffering from co-channel interference, this can be difficult to resolve because you can’t filter out the interfering frequencies without filtering out the signals and TV channels that you want to keep. Co-channel interference usually becomes a problem it bouts of high pressure which usually comes with the hot weather. Signals travel further than they otherwise would in the high pressure and can interfere where they otherwise normally wouldn’t. This is very common in the South East of the UK, but it can happen pretty much anywhere because of the ducting effect where signals can travel hundreds of miles before dropping back down to earth. You have a couple of options in this scenario put up with poor Freeview reception in hot weather or try to align your aerial to a transmitter less affected by the co-channel interference. In our area this would mean re-aligning TV aerials from the coastal transmitters like the Eastbourne & Hastings transmitters to the Heathfield transmitter. I think that you can probably tell by the length of this section that getting rid of outside interference in one of the most skilled parts on installing TV aerials professionally. I have written a blog about why your TV aerial may not be working and I’m only just getting to weak signal now. This is because there is so much things that can cause an aerial to go wrong and simply installing an amplifier or booster to improve things isn’t always going to help. I have written another blog on ‘Do Amplifiers & Signal Boosters Work?’ for a more in-depth answer to this. But to summarise for digital TV reception you need a suggested minimum of around 50dB at the TV side of the coaxial cable for reliable reception, this doesn’t mean that it won’t work slightly weaker but that this is a suggested minimum. If you’re getting a weaker signal than this, you should look to try to improve things. To fix, it’s best to fix the weak signal passively if you can so getting more signal without adding amplification is the best course of action. This may mean installing your TV aerial in a new location, like of the chimney instead of in the loft or by installing a higher gain TV aerial. If this is not possible you may want to add an amplifier to help “boost” the TV signal. The amplifier should be installed as close to the aerial as possible so that the signal gets boosted before any signal losses as a result of signal splitting and resistance from the cable. If you’re have multiple TV’s served from a passive splitter, remember that the more times you split a TV signal the more signal that you lose so this could be what is making your signal weak. So, removing the splitter and fitting a distribution amplifier may be a good idea. Yes, believe it or not this is a thing. It’s always funny to tell someone that the problem with their signal was that they had too much of it. Each piece of active equipment will have a maximum signal level. So, things like amplifiers and TV’s themselves can become overloaded with too much signal. This is also how things like Tetra, 4G & 5G interference cause problems. It’s not a problem that they are present on the aerial cable, it’s when they become too strong and overload equipment is when they cause a problem. To fix, fortunately too much signal is a lovely problem to have, in the sense that it’s easy to fix. Firstly, if it’s outside interference like 4G,5G you will usually just need to filter this out with an appropriate filter. If you have unnecessary amplification you may just need to remove it and replace with passive equipment likes splitters to serve multiple TV’s instead of distribution amplifiers. If you’re in a very strong signal area and are not far from the transmitter then you can just install an attenuator, which will drop the signal down before it enters any active equipment like TV aerial amplifiers and TV equipment. Attenuators come in varying sizes depending on how much you need to reduce the signal. If you genuinely have too much signal that I wouldn’t suggest purchasing an attenuator with less than 6dB attenuation as below this wouldn’t make much difference. If in doubt, they cost a little bit more, but you could buy an adjustable attenuator that allows you to adjust the amount that the signal is reduced. Things between your TV aerial and your transmitter will affect the amount of signal that you receive. This isn’t to say that you need to have line of sight with your transmitter because the way TV signals flow through the air is not unlike ripples in a pond when a stone is thrown in. But obstructions closer to the aerial side rather than the transmitter can hugely affect your TV signal and ruin your reception. Nearby buildings can block the signal, this usually happens when a large building has been built nearby which starts to block the signal because an existing TV aerial probably wouldn’t have been installed in a location where the signal was already being blocked and not working properly. This has happened with in my neck of the woods Eastbourne, where the transformation of our local shopping centre has started to block TV signals from nearby buildings. Trees are an aerial & satellite installer’s worst enemy. The main problems with trees are that they grow over time, move in the wind and leaf in the summer. All of these can give inconsistent reception and affect some frequencies & services and not others. I have installed aerials where the signal was pretty much perfect and a year down the line had to move the aerial because trees had grown and completely ruined the signal. It’s best to avoid trees altogether if possible but if there are only one of two then they usually won’t be a problem but where trees are dense they can become a pain in terms of reception. Temporary structures can also be a problem too, like scaffolds. Although these are usually far more of a problem with satellite dishes rather than TV aerials. To fix, sometimes it’s easy to fix this problem other times it can be more difficult or even not possible. Some of the things that can be done to avoid nearby obstructions like buildings and trees running your aerial signal are, relocating your TV aerial to a new position where it’s not being affected, I have already mentioned a case where I had to move an aerial from a chimney to a side wall to avoid some nearby trees but often just moving antenna higher can help. Realign your TV aerial to a different transmitter. 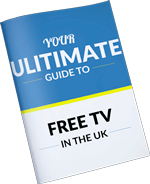 Or where neither of these works opt for satellite instead of a TV aerial, this doesn’t mean that you have to go and buy Sky because free satellite TV services like Freesat exist which is actually very similar to Freeview. With Trees of course you have the option of pruning the tree to a height which no longer blocks your TV signal. With temporary structures likes scaffolds, you could move your TV aerial onto the temporary structure until to get a good signal until after which when the scaffold is not longer required and then it can be re-fitted to its original location. If you TV aerial is not working and you’re re in our coverage area. Please do get in touch today to book in your TV aerial repair which we can do for as little as £62.50+VAT. I hoped that you liked this blog and has shed some light as to why your TV aerial might not be working, hopefully even helped you repair it without the need for a professional. As always if you have any questions please do LEAVE A COMMENT in the section below for a reply in the soonest.